The intersection of tech, marketing and analytics are where business success happens. Emerging technologies, like AI and cloud economics, are driving customer data analytics capabilities and changing the marketing landscape. A customer journey can be tracked online, offline, and in-app, so web analytics alone fall short. Web analytics track site speed, visits, and load rate. Customer data analytics track people. In the expanding market for content, data, and algorithms, new and emerging companies are delivering next-generation tools that automatically connect every touch point to a user for a holistic profile. Data is the key to understanding how customers engage via mobile, social, email, and chat. Of course, data needs to be tested. Scientific methodologies exist to help marketers set up and compare different campaigns to find out what works best. 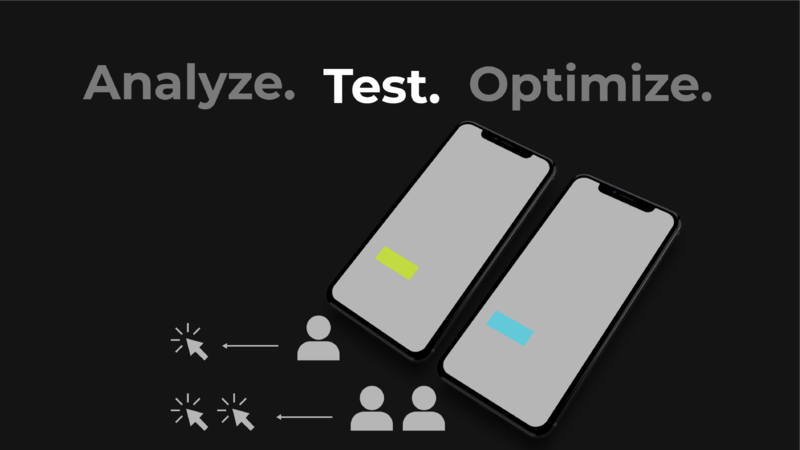 Experimentation through A/B testing, multivariate testing, and AI-powered algorithms can help you optimize your campaigns and better connect with your targeted user segments. Testing employs a set of trials and related analysis to determine which version of an ad, app, email, design, or web page has higher success toward a stated goal. The goal might be beta users, product purchases, email subscribers, or followers. It is beneficial for you to spend the time to understand what factors persuade a decision to take action or to bounce. What are the Steps in Scientific Testing? There are seven steps to launch and execute a successful test. You don't need to be a data scientist to run scientific experimentation. In fact, marketing itself is a continuous experiment, involving testing, learning, and optimization. The Control, in testing, is the original ad or design which is to remain unchanged for comparative purposes. Everything stays the same in the Control so that you can test against it. The Variable, in A/B testing, is the alternate version of the ad or design. This is where you make changes, or a series of changes, for the purpose of comparison to the Control. A user's response to an ad depends on the elements of an ad, hence the term dependent. If the messaging, visual communication and value proposition of an ad is compelling then the user may click-through or subscribe. The dependent, of course, is related to the business objective set for the ad campaign, such as increasing clickthrough rates, to increase revenues. Make sure your goals are set up on Google. Measuring marketing results allows you to assess how you are doing against your objectives. A metric becomes a KPI only when measuring something connected to a goal. This is the reason why you need to have your business objectives clearly defined – without them, you will be unable to identify your KPI’s. If you have proper KPIs and look at them periodically, you will keep your strategy on track. Creating a culture of experimentation is the best way to hone in on optimal brand marketing and campaign variables. Make sure you're talking to your marketing team. If there are cohesion and buy-in across teams then it is easier to reach the audience and meet goals. AI-powered marketing tools are giving companies a competitive edge in conversion optimization testing. Evolutionary algorithms and automated multivariate testing enables experimentation with multiple changes to a campaign. Statistical techniques are being employed to predict the performance of the winning design from hundred (even millions) of design combinations. AB trials and multivariate testing tools, combined with analytics tools are still being used to help companies drive engagement and optimize conversion rates. But now, companies are using Artificial Intelligence to predict winning designs and to tailor brand messaging to their customer base at every touch point. As data collection increases, and experimentation along with it, testing has evolved too. The result? Firms can optimize designs quickly. Firms like CrazyEgg and Optimizely focus on continuous optimization through quick and simple campaign element substitution, while firms like Sentient look to replace classic A/B testing with AI-powered automation. Compared to AB testing methodologies, Ascend utilizes weak” signals (compared to A/B testing’s 95% or 99% confidence signals) and combine signals across multiple designs to produce a strong signal by the end of the experiment. Basically, they are making the process of conversion rate optimization extremely efficient! Tools make it easier to experiment, gain valuable customer insights, and measure impact that changes have on your metrics. Whether you're a large company looking to implement sophisticated personalization and map complex user journeys, or a start-up looking for basic landing page testing, there is a tool out there to help. Here are some great tools. VWO is an all-features-in-one optimization platform that helps you organize your goals, create a hypothesis, and adjust your website at scale in response to how your visitors are navigating it. Optimove’s built-in marketing optimization bot bridges the gap between data science and the art of marketing. 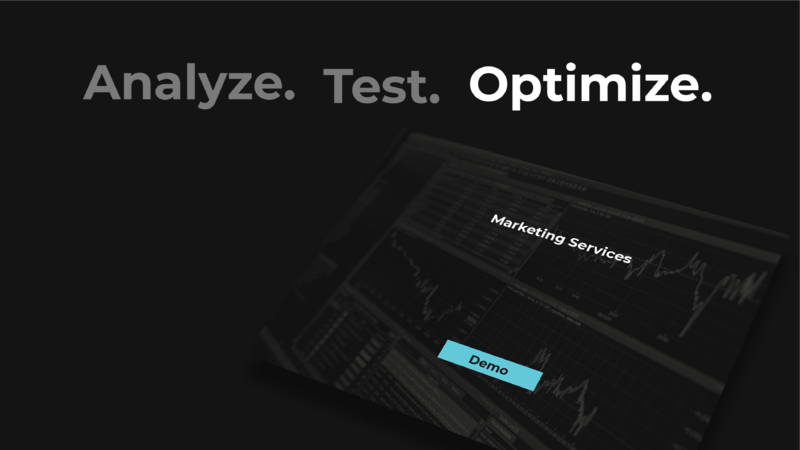 By autonomously optimizing campaign performance and discovering performance-boosting opportunities hiding in the data, Optibot helps marketers maximize the impact of their efforts. Sentient Ascend's is an amazing platform for autonomous and constant optimization. Their artificial intelligence let's you try out more design ideas in less time and requires less traffic than A/B and multivariate testing. Named a leader in Gartner's Magic Quadrant for Personalized Engines, Dynamic Yield is a go-to solution for institutions. Their platform runs predictive tests and machine learning optimization across web and mobile. 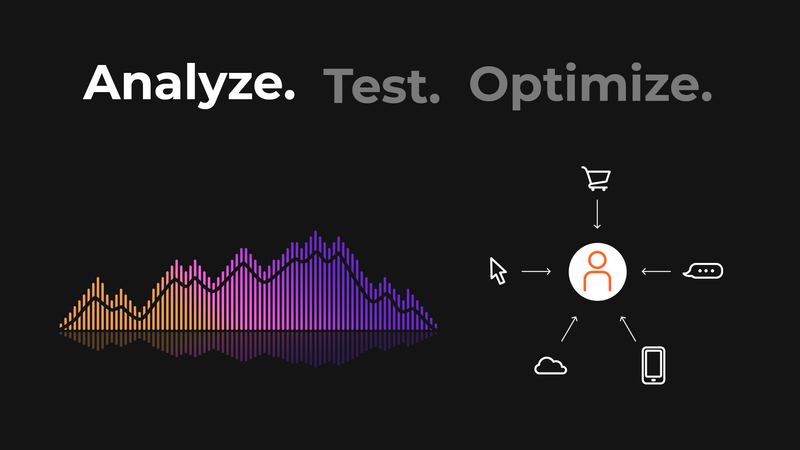 The analyze, test, optimize sequence is continuous for an ongoing read on users' needs. Google offers a simple but free A/B and Multivariate testing tool that lets you get the job done on a budget. And if you want to conduct content or app experiments Google has Content Experiment and Experiments API.